FirmGrip Vises from Toolway are constructed from cast-iron and have steel screws making them extremely strong and dependable. They are designed with an anvil surface to allow metal work and a 120 swivel base. They are perfect for grasping, cutting or bending small objects. FirmGrip Vises from Toolway are constructed from steel and have hardened steel jaws making them extremely strong and dependable. They are designed with a 360 swivel base and a 360 rotating head. They are perfect for grasping, cutting or bending small objects. No assortment of clamps in your toolbox would be complete without at least one 6-incher in the mix and this one is a favourite among professional tradesmen. Made from tough ductile iron, featuring a heavy-duty screw that is all but indestructible, and with extra welding at key stress points, this C-clamp is perfect for woodworking, welding, or virtually any other job you can imagine that needs a good, sturdy clamp. 2 Inch. Drop Forged C-Clamp With 1-1/2 Inch. Throat Depth The BESSEY CM series light duty, drop forged C-Clamps are well priced and durable. These clamps are great for light duty welding, fabrication and woodworking. They are appropriate for many small jobs around the home workshop as they are light and strong. 2 Inch. 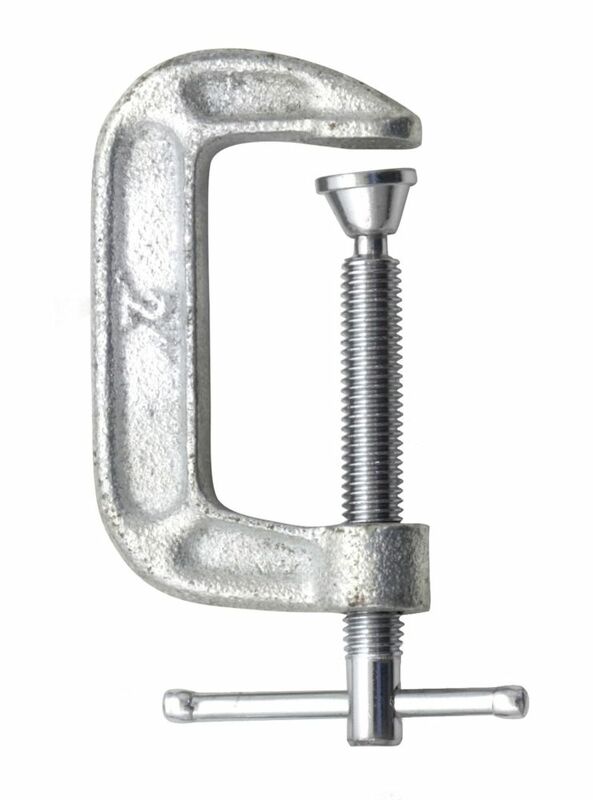 Drop Forged C-Clamp With 1-1/2 Inch. Throat Depth is rated 5.0 out of 5 by 2.